This weekend my Facebook newsfeed has been awash with friends who are sending their kids off to university. For months now, I’ve been enjoying watching many of my friends and their kids engage in the planning for higher education exercise: decision-making about what university to attend which involves going on tours, weighing the pros and cons, thinking about past wishes and focusing on future plans. This weekend, these plans culminated in a series of compellingly lovely smartphone photos posted on timelines: of boxes of stuff sitting on patios or filling up the backs of cars, of good-byes and freshly arranged residence rooms, of posed family photos outside historical buildings and library entrances. Status updates about the worthwhile years of saving, the worries and anticipated phone calls, about driving away and arriving home to an emptier house. The bittersweet pride and joy mixed with that inevitable wave of sad-happy that these kinds of landmarks in life wash across us. The coming to fruition of plans. I have already accustomed myself (mostly) to the idea that I won’t be doing that for Georgia, in any way, shape or form. I’ve written a lot in this column about trajectory, and how the trajectory of Georgia’s life will take on a much different form that what I might have imagined for my child, before I met her. I’m still very wistful about it, I admit, but I am realistic. The plans I might get to make for Georgia will be much different than a university education, although they will involve similar kinds of fundamental values and driving forces: wanting my child to be happy, accomplished in her own way, engaged in the world around her and actively participating in her own life and choices. 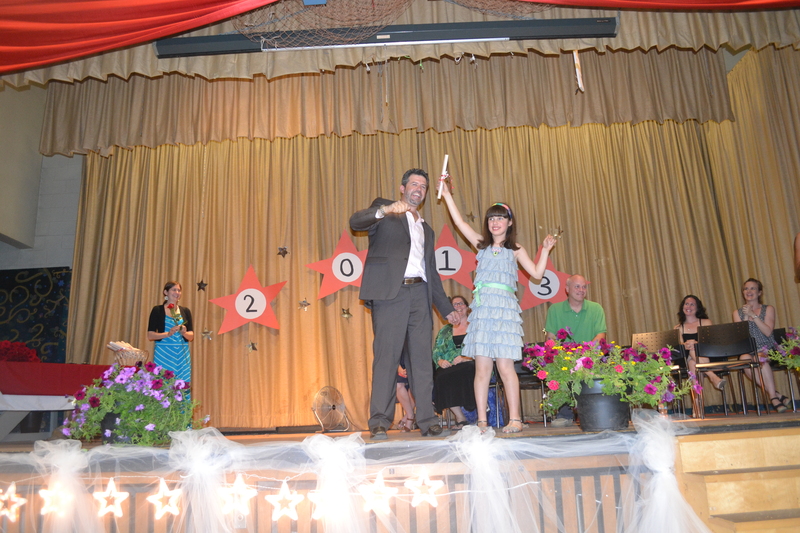 Georgia getting her grade 8 diploma, June 2013. The thing about planning is – it is a true luxury, a privilege of the very fortunate. A plan followed through and seen to fruition? I’d call that an absolutely amazing extravagance. I suspect that it is rare that we actually take a moment to stop and contemplate the very privilege of being able to make plans. The idea that we can actually conceptualize something we want to happen, happening. The idea that something we want so badly for our child will actually come true. Planning is the modern-day version of luxury. A Chanel bag as luxury? No, not so much, really. You can buy a knock off on Canal Street in New York City for a few hundred dollars and walk around thinking your arm candy says “luxury”. But many of us know that isn’t luxury. I have no idea how to tell a knock-off from the real thing in terms of Chanel bags, but I do know the absolute luxury of being able to make a plan and have all the things one needs in life to make that plan a reality, a goal, an outcome. I don’t feel sorry for myself because my kid very likely will never go to university. I do admit, I will miss the planning. Yet then I think of how many never have that great privilege to plan something so wonderful as helping a child go to university for reasons far different from mine. Or those for whom a myriad of reasons – poverty, lack of access, lack of knowledge, or constraints related to geography, culture, religion or belief systems – make it difficult or impossible to even engage in that kind of planning. And then there are those who plan, who take that risk to imagine something so great – and have it crushed in a few mere seconds. This week I was on Queen at Bay and turned my head while on the phone, only to see a cab door open suddenly and a cyclist plow into it. She was thrown off of her bike and over the door – time seemed to stop as she flew through space for a few unreal seconds – landing a few feet away on the sidewalk, with a couple of frightening cracking sounds. One cracking sound was her arm hitting the pavement at an impossible angle – resulting in an obvious compound fracture with a visible bone and plenty of blood. The other crack was her non-helmeted head striking the concrete. The noise still haunts me just a little and I can far too easily recall it by simply closing my eyes and remembering that moment. As a nurse, a cyclist and a fellow human, the sound was seriously bad news. I stayed with her alongside a small crowd until the ambulance came and concluded that she very likely had a moderately serious head injury. She was clearly in shock and among other things she was repeating was the notion that her plans “were gone to s**t now”. She knew her arm was broken and the plans she had made “to go camping” for the weekend simply weren’t going to happen. I knew that, she knew that – even the security guard from The Bay who ran outside to help with a rather less-than-what-might-be-needed-but-well-intentioned first aid kit knew that. I also knew that she had some version of a head injury and that there may be other plans that she now cannot make happen. Of course, hunched over her on a busy downtown sidewalk at dinnertime with my skirt wrapped around my knees and my hand brushing her hair off her face (and that whole thing of not being a neurologist), I was not going to tell her anything remotely like that, but I knew that the chances of her fulfilling every single plan she had made to that day, had somehow changed, even maybe just a little. In a split second, in the mere careless opening of a cab door and a seemingly frivolous decision to not wear a bike helmet. Her plans, as she said, had “gone to s**t”. For me, I’ve had a long time to adjust to the ‘change in plans’ that Georgia’s trajectory likely requires of me. But I haven’t had a head-cracking-on-concrete moment that has perhaps taken away chances of making plans in a split second. I actually think that if you have a child you take from birth (or thereabouts) to the point of driving them to a residence in a university with admission into a program of study, you’ve really done a wonderful thing – in the very act of it – and in being able to actually engage in the luxury of making real plans. While I write this column, I keep hearing lyrics in my head: lyrics of a song I grew up with (and yes, now I’m dating myself – feel free to do the math). 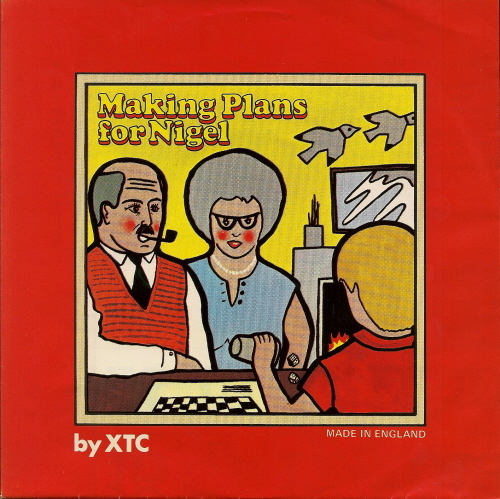 In 1979 XTC released a song called “Making Plans for Nigel”. Geeky music websites many years after debated the meaning of the song: some saying that it was a subtly political statement about the Labour Party and the Conservatives and the need to keep workers quietly happy (there’s one reference to “British steel”), but interestingly many other commenters claimed that this song was about parents making plans for their child’s life. Still others say that the song seems to suggest that the parents are making plans for a child with some kind of limitation or disability. The lyrics (I’ve included most of them below), if we decide to interpret the song this way, seem to suggest something to the effect that the “making plans” part of life is not as important, is insignificant or trivial and that the “making happy” part is truly noteworthy. I’ve thought about this. I agree in part, specifically with the latter part – yes, making Georgia happy is crucial – but I still posit that the privilege and luxury of being able making plans should never be taken for granted. Oh and yes for those of you who now have that song stuck in your head (and I can almost guarantee that you’re born before 1970), here’s a link to XTC on Top of the Pops: http://www.youtube.com/watch?v=gXNhL4J_S00. Many people are curious about what it’s like to raise a kid with autism. One interesting result of this column is that many people are interested in what it’s like to raise Georgia. I realize that I focus here, often, on the part of raising Georgia that speaks to the challenges (and even sometimes the joys) of autism, but the focus is typically on that, rather than simply on Georgia, the person. It’s not that I think of her autism as something quite separate from her, something that is just ‘a part’ of her or something that can be turned on or off. Rather, my ideas about her and autism are, to say the least, quite complicated and vary wildly with the situation, the day and very much the reactions of others in the world around us. I like to think of it using an analogy – for anyone who has agonized over a PowerPoint presentation, this will hopefully be clear. When I make a presentation, I often like to use more than one image on a slide, arranged not uniformly, in a patchwork-style, overlapping and building upon each other. Often, though, one image obscures a corner of another or overlaps and blocks an important feature on the image behind it. There’s this great feature in Powerpoint in which you can right-click to bring the image “to front” or place it behind another image. Essentially you decide what image you want on the top of the pile (clearly presiding over others) and what image you want to be behind the others, a bit obscured or with some elements blocked from view. This is how I think about Georgia and autism. 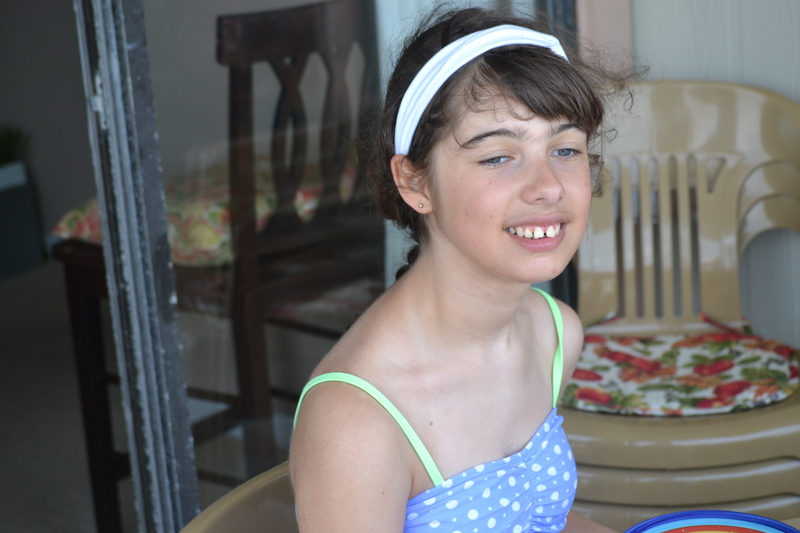 Some days her autism seems to be ‘out front’ and commanding both energy and attention. Other days it’s ‘behind’ my image of her and I see Georgia, lighter somehow and unencumbered. But for today’s column, let me tell you a bit about Georgia the 15-year old and not Georgia the kid with autism. Two things are worth saying here. First, I don’t consider her autism as something inherently negative. She is who she is, and part of her charm and loveliness is her approach to the world and the way she moves through it. This is inevitably flavoured by her autism, directed by her developmental delay and from a practical perspective, driven by her physical limitations. So her ‘disabilities’ are something that truly make her who she is. Second, it’s tough to ‘take out the autism’ when I talk about Georgia – and that’s okay. But I have these moments when I realize, “Wow, she’s a pretty typical 15 year-old in some ways…” and thought I’d share a few of those here, along with the lessons I’ve learned (similar to what I assume many parents of 15 year olds learn) and a few insider tips. 1. She owns rules the basement (aka “The Teen Zone”). Like Daenerys Targaryen, Mother of Dragons, she guards the hallowed entrance to the basement with a skillful eye, lightning reflexes and an instantly terrifying growl lest you dare to set foot on the top stair, heading downwards. You could be bearing a silver tray of the finest foods for her and she’d outright reject you, banishing you to the upper floors of the house. Lesson: don’t enter the Teen Zone unless the Mother of Dragons summons you. Insider tip: She will share the basement for exactly 30 minutes with three non-negotiable conditions: (1) Jeopardy is on the television; (2) You come bearing a snack that includes cheese and excludes apples; (3) You massage her neck, back or shoulders with medium firm pressure at her behest. 2. She likes Top 20 music. As a late 40-something academic, I’m somewhere between foolishly proud and outright mortified that I know the lyrics to every song performed in the last three years by Pitbull, Bruno Mars, Katy Perry, Kesha (“previously stylized as “Ke$ha, but no longer”…bet you didn’t know that, huh? ), One Direction and so on. You get the picture. Lesson: Learn to like it. Insider tip: Thankfully, she also loves Elton John, Bob Dylan, Marley, the Beatles, the Stones, Eric Clapton, various 80s musicians and is learning to love Chet Baker and Louis Armstrong. She’s happy with listening to radio playing the (sigh) “oldie” hits of the 70s and 80s and even likes audio books instead of a constant Top 20 drone. We’re currently working on appreciation of Steppenwolf and Elvis Costello. 3. She wants to wear what she wants to wear. Last summer, we visited Target on our way home from vacation and with her outright blasé attitude, she assisted us, while sighing with exhaustion, in buying her some (pretty fantastic) new clothes for school. Secretly chuffed, I was thrilled that the new trends included patterned jeans, funky dresses, and hippie-style tops. Uh huh. I was excited. So excited that I should have realized my impending doom. Day two of high school and Georgia comes home, declaring firmly (again, in true Daenerys Targaryen style) that she was only wearing black tights and t-shirts from then on. And I scoffed at this, dismissed it, with a tinkly laugh and a devil-may-care, “Sure, okay!”. The next morning however, Georgia opened her eyes, and before she moved a single muscle, locked me in her gaze, proclaiming “I am wearing black tights and a t-shirt”. I knew I had my work cut out for me, but gave up early in the game. Thank goodness for Old Navy online shopping. Three clicks later, I had four pairs of black tights being shipped (“rushed”) to the door and a selection of graphic t-shirts that we can both love (i.e., everything from neon giraffes wearing glasses to classic Joy Division). In the last few years, we’ve gone through the same single-minded dressing obsessions of Georgia’s including: wearing only men’s suits and ties (“But mommy I HAVE to wear a suit to school! 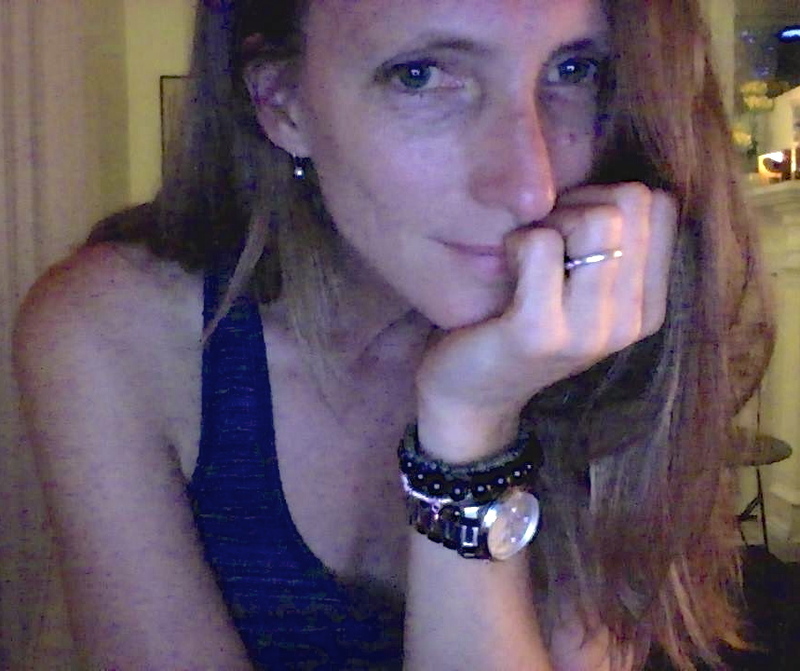 !”), dresses (short-lived but well enjoyed by yours truly), white shirts (short-lived because I can’t do laundry that quickly) and heavy fleece hoodies at the height of summer (“But I need a sweater, I’m so so so cold, mommy!”). If I’ve learned anything, it that it is better to pick your battles and let her be as independent as possible where she can. I’ve also learned that it could always be worse – let’s just say that black tights and cool t-shirts aren’t the scariest choices for dressing that adolescent girls these days are choosing. Lesson: Give the kid credit; she’s knows her own style (and she’s got an admittedly great sense of style). Insider tip: She would, if not closely monitored, wear a Piggly Wiggly t-shirt and Blue Jays hat every single day of her life. 4. She eats in a way that reflects a creature made up of half yearling bear and half aging supermodel. Some days, I simply cannot provide her with enough food. She’ll demand a sandwich when walking in the door from school and midway through it, ask for dinner. She absolutely always accepts seconds when offered and demands additional helpings of salad and any warm carb on offer. When we order sushi, she can eat enough for at least two people. And then be very sad that it’s “all gone”. Other days, however, she’ll pick at the teeniest tiniest serving of something, declaring that she hates it and that she can’t possibly eat it. She’ll put her hand to her stomach, thrash about in her chair a bit, declare that she has some terrible illness and push her plate away, fanning the offensive food that dares to mock her. She’ll then roll her head around dramatically to rest it on the wall in sheer exhaustion, closing her eyes at the injustice of being told to eat food. Lesson: Ham. She can’t refuse ham. Insider tip: Ummm. If you can’t get her to eat something, add ham. 5. She multitasks music. She is happiest when on a road trip with her parents (in the backseat) listening to her iPod, with the car radio blaring music and her iPad in her lap with the DJ app in play. Each device is playing a different song (and one must always be “Hey Jude” apparently) and that is the way her everyday living mashup works. Insider tip: For the roadtrip, add a bag of potato chips at her side, an open photo book beside her, highway construction that she can watch and a destination with a swimming pool, and she just might burst open with sheer bliss. I don’t know much about 15 year-olds in a general sense, but I’ve felt the inevitable sense of frustration, and witnessed the tired smiles and sighs of other parents of 15 year-olds, that I know some of this is a shared experience. While I some days feel like our 15 year-old challenges are far different from most, I take some real comfort in the fact that like most parents, I’m constantly trying to readjust, find a balance between what Georgia wants and what she might need. I’m trying to keep her safe while letting her go a bit, choosing my battles (okay, okay, I’m perhaps more slow at learning that…), giving up the fights that are just silly and letting her be as autonomous as possible with the things that matter most to her. 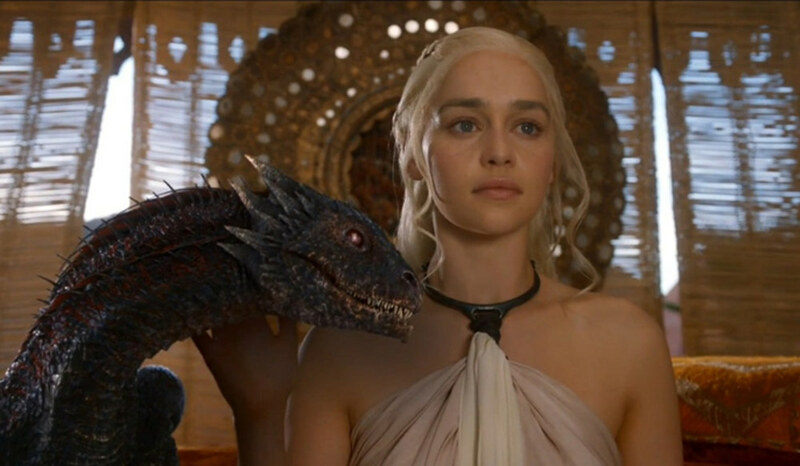 I’m also slowly realizing that the reason she’s so Mother of Dragons about so many things is because, well, she’s learned a lot of that from me. I can be fiercely unmoving and wildly overprotective with little latitude when it comes to Georgia. But I can change, and I can relinquish my too-firm position in many of the battles, knowing I’ll have to do this more and more. Case in point: I’m ordering four more pairs of black tights for back to school, one size bigger this year – and not a single dress. What is life with Georgia like? People ask me this sometimes. At first glance, it seems like an innocuous question. It’s tough to answer though – particularly right now. I need a good metaphor, I realize. People love metaphors. They love them because metaphors help us to understand something we perhaps haven’t experienced or can’t experience. Metaphors help us make sense of things that are foreign to us and they act as tools for us to explain ourselves to others. We use metaphors to get to the bottom of mysteries and to be creative and compelling in describing something to others. Sometimes metaphors are just every day ways of communicating. The nurse who asks the patient whether his chest pain feels “sharp as a knife” or “like an elephant sitting on your chest” is trying to help decide whether to offer the patient a sedative or move him into a cardiac care unit. The runner who “hits the wall” doesn’t need to say much more to those who are avidly listening to her retell the story of her first marathon. We are at the beach, on our annual summer vacation. When I’m on vacation here, I tend to think about all things Georgia more. I have much more free time to reflect and ponder and, well, worry. I’m around strangers much of the time in the pool or at the beach and often need to explain her to others. I’m hyper-aware of the way she is watched by other often littler kids who are curious about the lovely, funny awkward person who acts younger than them but is bigger than they are, who dances on the beach with a complete lack of self-consciousness and who laughs uproariously and with abandon every time someone jumps in the pool. The other day a family of three small kids and a mom were in the pool with us, watching Georgia out of the corners of their eyes and smiling politely at me. Georgia, as always, was the one to break the ice, asking each of them their names over and over and then repeating the names over and over – “You’re Grace, Grace, Grace-y! Hey Grrrrrace! !” The youngest boy asked me quietly, “Does Georgia have some kind of a problem?” and I did my short, friendly well-rehearsed public service announcement type of response and asked him if any kids in his class have autism. No, he replied, but he knew a kid once with cerebral palsy. I smiled. The mother asked me how old Georgia was. When I told her 15, she looked at her, then back at me and said, “Well she’s very functional!” I smiled. I wondered if, while I wasn’t paying attention, the conversation had somehow turned from adolescents to appliances. People are kind and accepting of Georgia, and in a shared pool, strangers are forced to engage with her in a way that may test their own sense of comfort or patience. I realize that and am grateful for their efforts and their kindness. But I also get tired. Of explaining it. Of smiling. Of answering well-intentioned but completely out-in-left-field questions. The best one this year came up in a casual conversation with a stranger dad at the pool about the occasional small alligator you find in the waterways here. His crazy hyper, unruly (“golly, they only sleep three hours a night!”) six-year-old boys were screaming about how much fun it would be to see an alligator and his next out-of-the-blue question to me was “So would you have to hold your daughter back from just wanting to get into the water with one?” Uh, no sir, nope, I would not. I chuckled to myself that rather than an explanation of autism, he might instead need a gentle re-introduction to his own kids (not from me) who I easily pictured hurtling down to the water to scoop up their new pet alligator (“Dad, we’re calling him Norman!! !”) about a million times faster than Georgia would even consider getting off her chair to peer with adolescent disinterest into the water from afar. That’s what Georgia is like. What is life with Georgia like? This is what I’ve been pondering here, on vacation this year. People have asked me “what it’s like” to raise a child – and now a teenager – with autism. The first thing I’d say is that if raising a child with autism is like running a marathon, then raising a teenager with autism is like running an ultra-endurance Ironman – with no training – in extreme heat and humidity – and wearing high heels. It’s not like ‘a bowl of cherries’. And it’s not like a ‘box of chocolates’, or else we’d all want some, obviously. The whole point of the ‘box of chocolates’ metaphor is that, as Forrest Gump’s mother says, “You never know what you’re gonna get”. Not so much with life with Georgia. Life with Georgia is more like a giant box of chocolates, each mostly exactly the same bite after bite and that is precisely the way she likes it. Change them up and risk a small but memorable teenage rebellion. It’s not ‘two steps forward and one back’. It’s more like one step forward and two steps back, then a crooked skip forwards a bit followed by a dramatic trip on the crack in the sidewalk and some funky dance moves sideways. Is it like a ‘wonderful journey’? Uh, well, I suspect no mother of an adolescent would describe the experience that way exactly. No, it’s not. It’s more like a just slightly too long and too rainy family car trip in an old station wagon with no AC. You know the kind. It’s a ton of work (mostly by mom) to just get out the driveway, and by day three, dad is chain smoking behind dark glasses while driving way too fast past gift shops and trading posts, and mom is furiously knitting and angrily snapping her gum. In the back seat, the kids have drawn an imaginary line down the middle of the back seat and anytime a sliver of leg, a jostled elbow or an unattended Barbie or GI Joe crosses the line, complete chaos ensues, only abated by a threatening growl thrust backwards from the driver. The tent is ripped and leaks every time it rains, the sleeping bags are damp, someone has thrown up at least once (both in the car and in the tent) and the dog in the very back has a bad case of gas and howls anytime anyone opens a window. But there are other moments. The fresh, quiet dewy mornings spent sitting in a folding chair with coffee and tea and no plans other than to get to the bottom of the cup. Afternoons that stretch into early evenings spent diving off a dock into a sparkling lake. Wearing a bathing suit as clothing. The moment a too-burned marshmallow falls off the stick into the friendly campfire and everyone laughs. Pulling into the driveway with a sigh, and feeling like you’ve just had the best time ever. One metaphor that keeps coming in my head is ‘banging my head against a wall’. Being Georgia’s mom sometimes, yes, makes me feel like I’m simply banging my head against a wall. I get the same kind of results when I try or I don’t try lately, and my normally good-natured optimism is being tested, almost daily. There are days when merely approaching Georgia causes her to proclaim, “I’m very unhappy with you!” I joke about it to my friends and family (in an attempt to minimize how difficult I find it) but her level of adolescent unhappiness is extremely difficult for me to manage. Or rather, my reaction to her level of adolescent unhappiness is difficult for me to manage. She doesn’t have enough insight into her own reactions and feelings for her to understand that “hey mommy has feelings too!” and the truth is that much of the time five minutes after she proclaims her abject unhappiness, she is dancing and singing a Bob Marley song and appears to be as happy (as they say) ‘as a clam’. Banging one’s head against a wall isn’t exactly the right metaphor for what this is like. There is nothing positive about banging your head against a wall, no moments of satisfaction or happiness. Nothing other than that singular mostly negative experience, which can be strangely therapeutic in its blunt simplicity. That’s not life with Georgia, although it may well perfectly describe moments with Georgia. So today I finally came up with a metaphor for life with Georgia. I came up with it while strolling along the beach, as I do most days while we are here on vacation. Life with Georgia is like the ocean. I love the ocean. I also fear it just a little and understand it far less than I’d like to. Every day I’m here at the beach, I’m astounded at how the ocean is so consistently unvaried and almost exhausting in its sameness from year to year and day to day, while also being so very different in each passing minute or hour. At high tide, the ocean is all bravado and white caps – angry, threatening, strong. At low tide the landscape is dappled by gentle tidal pools where toddlers crouch beside and dabble fingers in the water that has been warmed by the sun. Depending on the moon, the wind, and the sky, the ocean changes colour, intensity, temperature. Some days, the ocean is clear, calm and blue and you can paddle in peacefully, in salty aqua stillness. On other days, it’s murky, frothy, dark green and tumultuous – hitting you from behind with an unexpected forceful crest as you wade out of its grasp. While beautiful and compelling, the ocean holds mysteries and potentials that are intriguing and frightening. Like the ocean, life with Georgia is staggeringly repetitive and beautifully invariable, wave after inevitable wave breaking upon the shoreline. Predictable yet formidable. Tempting yet fearsome. At one moment, joyfully inviting and the next moment, tumultuous and forceful. It’s not to be trifled with: one hidden rip current below the calm surface and you’re caught up in it in an instant, flailing madly and trying to remember what you were told to do. It’s useless in a rip current to try to swim hard against it but if you do nothing, it will carry you far from where you want to be, beyond the breaking waves on the shoreline and out of sight of everyone else. You need to focus, realize you’re caught in a rip current, then stop panicking and find strength. Don’t try to fight the current, everyone says, swim parallel to the shore. Trying to swim directly against the flow of water will exhaust you. Take the life preserver if it is tossed to you and let yourself be pulled out of the current, usually just a mere few feet to one side. 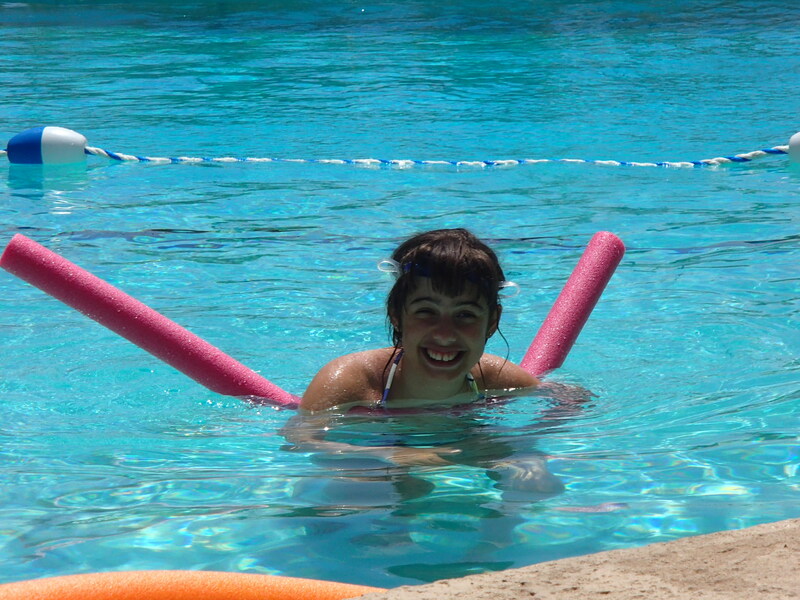 I’m a good swimmer. I’ve become a better swimmer, as I’ve gotten older, spending more time at the ocean and becoming more athletic now than when I was younger. 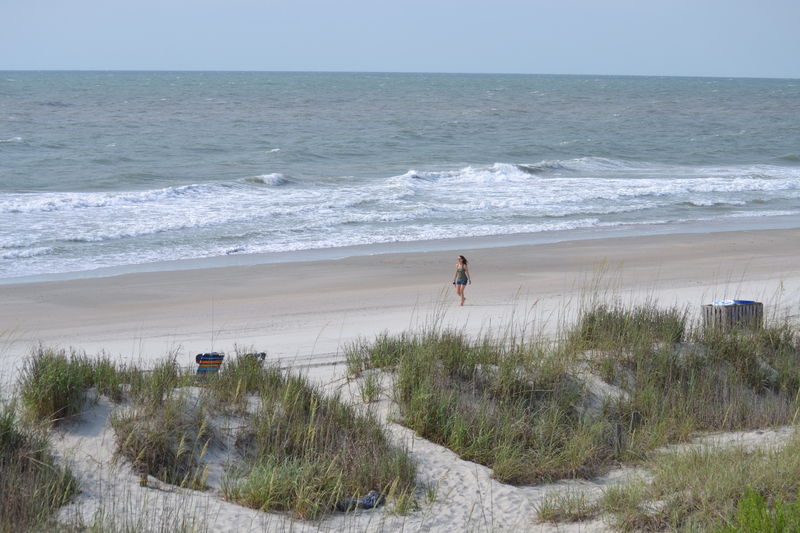 I sense that, as Georgia gets older and increasingly complicated, I’m going to be spending more and more time caught in those rip currents that underscore life with her and less and less time dabbling idly in placid tidal pools. I’ll just try to keep my head above water, swim parallel to the shore, and see where it takes us. On the weekend, Georgia and I had a Kramer vs. Kramer moment. Of sorts. The scene I’m referring to is close to the end of the movie: Dustin Hoffman’s character and his son make breakfast together. They work silently, in complete coordination with a smooth choreography that only comes from a shared routine. The scene is at once cute, funny and touching – and emphasizes the bond and rhythm that is theirs alone. It often feels like nagging to me, so I try to use a non-nagging voice and to keep it light. But when you’re in a rush to get out the door, it’s tough to remember to keep it casual and light. Georgia: incoherent mumbling and giggling. We do eventually make it out the door. We start prepping to leave the house much earlier than one might think is reasonable, but this is the only way to ensure that we leave the house wearing shoes, hats and sunglasses. One thing I’m learning about verbal prompting is that it’s complicated. I’ve been reminding Georgia to wash her hands after she uses the washroom since she was old enough to actually use the washroom. That’s a lot of years of prompting. When I don’t prompt her, she sometimes washes her hands. Often though, she forgets and I have to send her back to the bathroom. When she gets into a bathtub, she’ll simply sit with a cloth in one hand until I prompt her to wash her face, and then I have to go through each of her body parts, with the prompts coming one at a time, and often repeated. The thing is, I assume that since I’ve been prompting her for years, the steps of an activity must be ingrained and the prompt is no longer necessary. Not so much. But it’s not so easy to figure out why that is. The other day, I had an epiphany. Georgia was in the washroom and I didn’t hear a flush or the water in the sink. I went in and reminded her of the steps. I was a bit exasperated, saying, “You know this, Georgia,” when suddenly I realized a few things. First, she does know the steps to using the washroom and that information is in there somewhere. But I think she doesn’t store information the way that you and I do. Amazingly, Georgia stores a lot of random but marginally useful information — like the name of a stranger’s baby, or a dog on the street she met five years ago. She remembers the names of assistant managers at the grocery store or waitresses she’s met once. She can tell you the name of her ‘lunchroom lady’ from grade three or the name of the assistant in her daycare twelve years ago. Yet she can’t remember – or appears unable to remember – the steps involved in basic hygiene practices she’s been doing for years. In some ways, this is very frustrating. In other ways, this is a bit scary: Will I be prompting a 35-year-old to wash her hands? And if so, will it be because she needs it or because it’s become ingrained for me? I worry that I have programmed her only to do things when prompted, and not to think for herself. I’m like an automated prompt-o-tron in many ways, programmed to prompt just as much as Georgia is programmed to require prompting. I worry that she now requires the prompting as an inherent part of that process, and can’t think through processes on her own. At what point does it stop being helpful? Holding back from prompting is often more helpful. The trick is figuring out which of the times I should hold back and let her figure things out or miss a few steps. For those of you who know me, you’ll also know that requiring me NOT TO TALK in a situation is a form of mild torture. I have to be the person who literally squishes her mouth shut with her thumb and forefinger in order to not talk. I’ve learned from others who are a bit removed and who are far better at recognizing when verbal prompts aren’t necessary. Miraculously, sometimes without a single word of help, Georgia figures things out and gets the job done. Not always, but just occasionally enough to create a big space for potential and possibility. Ah, okay. I’ll just tell her to go ‘forward’ then. Laura smiled knowingly, and said, “I’d give up on all the talking actually. She can figure it out.” And Laura, of course, was right. While I was holding my mouth shut, Laura was chuckling and Georgia was figuring out how to turn her bike around, moving it forward and riding like a pro. So back to our Kramer vs. Kramer moment this weekend. Georgia was in the bath. She washed her face and her various parts with barely any prompts. The plug was pulled. She stood up without being helped and I got the towel ready. Out of the tub she stepped toward me to be wrapped in the towel. Silently, I helped her dry herself off and put lotion on her back. She picked up her pyjama top and I helped her put it on. Then the pyjama bottoms. She brushed her teeth while I combed her hair and rebraided it. Silently, she passed the elastic to me over her shoulder as I reached the end of her braid. She proclaimed herself “all clean!” and hopped off to bed. It will be challenging, as she gets older, to prompt less and trust that she can figure things out. Yes, we may end up leaving the house without shoes or forgetting to wash certain body parts, but I think I can have to learn to live with that. * The name of an educational assistant who worked part time in her classroom five years ago. Yes, she remembers her name. Whose Dream Should I be Living? I’ve been thinking a lot lately about modern messaging about ‘Living Your Dreams.’ If you’ve ever been on a social network, you’ve already seen the taglines that triggered this post: Give it all up. Get off the grid. Be more courageous. Travel now. Live authentically. Close your computer. “You don’t have to be a millionaire to live in Hawaii, you just have to want it!” proclaims the host of the show Hawaii Life, in which frostbitten families pick up their lives and move to Hawaii to ‘live their dream.’ This is a relatively recent approach to fulfilling one’s dreams: If you want something – just go and get it. Don’t let things like money and family stand in your way. Dare to dream! I want it – really, I want it. But I’ve found that hasn’t been enough yet. A Facebook friend posted a picture of some mutual friends recently, and noted that they were ‘brave’ enough to give up their jobs and house in downtown Toronto for a year to travel around the world. She challenged her Facebook friends to try to find that kind of ‘courage’ to do the same! I’d love to be ‘brave’ enough to give up my house, my job and my extended family for a year to travel around the world. From a financial, personal and professional perspective, I’m amazed people do this. I would have about a year’s worth of stuff just to think about first, including how to best go about uprooting Georgia for the sake of my dream. I need my job – it’s a very good job – and I’d like to have it for a while. I need it so that Georgia can have the things she needs, and ensure she has support after I’m gone. I have a house – it’s a nice house – and Georgia likes coming home to it. We have occupational therapists, tutors and respite caregivers who are part of the fabric of our lives, whom we’ve worked with on developing strong and wonderful connections, and who are now part of our extended family. The idea of taking Georgia away from those supports for a year simply isn’t realistic, and I’d worry about opportunity costs in terms of her development. So I really don’t want to be told that I’m not ‘brave.’ It’s great if you can – and if you can, you should! – but please don’t make this about being not ‘courageous’ enough if you can’t. I’d love to give up living eight months in the cold to live in Hawaii. I really would. Interestingly, the families who are on the Hawaii Life show don’t often talk about the extended families or support networks they are leaving behind. They don’t talk about older parents (and grandparents) or children with special needs or networks of friends. They talk about paddleboarding, learning to surf and living ‘off the grid’. The ‘off the grid’ thing leads me to a specific part of the ‘living the dream’ meme I find frustrating. Much of the rhetoric these days about how we ought to live encourages us to ‘Close your computer,’ ‘Get off the grid,’ and ‘Disconnect!’ But living on that grid is the one single way I have to always be connected to my child when I’m not with her, and as she seeks out more activities outside of home, I suspect technology will become even more vital. I depend, in a very real way, upon the people around Georgia telling me what’s going on with her when I’m not around. I need to be reachable and accessible. I do not have the luxury of turning off my phone to demonstrate how evolved and authentic I am. As Georgia doesn’t yet have the ability to move independently through the world and communicate her needs, we keep her safe and ourselves sane through technology. I love that I can text with the babysitter when she can’t find the one precious picture Georgia is searching for. In a matter of seconds, I can resolve whatever’s happening. As someone who is so often a ‘Georgia interpreter,’ I am happy to be available by phone or text for a question that requires advanced translation skills. Or the classic: “Georgia needs to know exactly what time you’ll be home.” Without readily available answers, these questions prevent just about anything else from getting done. I still get vaguely anxious when I go for a run without my phone or forget it in my office when I’m at a meeting. I cannot imagine being disconnected – that’s my reality. To have people claim I’m somehow less evolved because I can’t afford to disconnect fails to recognize the reality in which I live. Technology also provides a great deal of value to Georgia that we can’t replicate in other ways. The things she likes today are versions of the things she liked six years ago. She has an insatiable ability over many years to watch videos by Bob Marley, the Wiggles and excerpts of Caillou (ugh) or Teletubbies. But with an Internet connection, she doesn’t have to watch the same DVDs over and over again – which she would do if we did not somehow intervene. Now we can direct her to millions of sites for Bob Marley’s music, and Teletubbiesin every language imaginable. The other day, she informed me “Teletubbies speak Spanish and say si.” Access to the Internet allows Georgia to grow in particular ways, to experience new things as she wants to and avoid repetition – at least in one dimension. Georgia can’t tell her grandparents how much she’s loving her bike riding class or how much fun she had on a school trip. But pictures get sent by email from teachers to parents, and then outwards to extended family. I am happy to have a meeting interrupted by an emailed photo of Georgia with a medal, or a text from Chris with a picture of Georgia riding her bike. She can Skype with her uncle or her grandma or her tutor, all of whom are far away. It helps her learn about relationships and conversations. Being connected is an important way in to my kid, for everyone around her. I always react to meta-narratives, or claims that there is only one way to be bold or courageous, or only one way to live a dream. To say that we’re less authentic because we haven’t packed up our Toronto house and given up our obviously-too-stressful jobs to live off the grid in a tropical paradise fails to acknowledge the complex realities in which we, and many other families live. And you know what? My connection to technology does not feel like a burden, nor do I feel less authentic moving through the world with a smartphone in one hand and Georgia in the other. Technology has opened up our world and provided this little family with more freedom. It’s enhanced our ability to be ourselves and to be connected. I can actually be separate from Georgia but know she has access to me. I can trust others who care for her to reach out and connect us. I don’t actually feel bad I’m not giving everything up to travel the world. I don’t feel less brave than people who have given up their apparently duller lives to backpack across the continent. I’m glad they’re doing it – and I might be able to do it but only if Georgia really wants to. So until then, I’m absolutely fine with not measuring brave using that yardstick. One day last week I asked Georgia, as I do every day, what she did at school. Typically her answer is one serious word: ‘Work,’ without any further elaboration. But that day when I probed further, she said she had been in art class. I asked what she was making. I don’t really need the card – that snippet of conversation was a gift in and of itself. On Mother’s Day, we show love and appreciation to our moms. As for me, I find myself thinking about what I do to earn my child’s love, and what I do to make that relationship as good as possible. What does love mean when that child has autism? What do I know about how my child ‘loves’ me? I’m currently reading a book that is very good on the challenges of parenting kids with special needs. It’s called Far From the Tree and is written by Andrew Solomon; it’s about parenting and the challenges that particular families face, including families with a child with autism. That chapter addresses the fact that parents of these kids often have to love a child who cannot show them love in return. Many kids with autism aren’t able to show affection in traditional ways, or can’t communicate or relate to the demonstrations of love that parents long for. 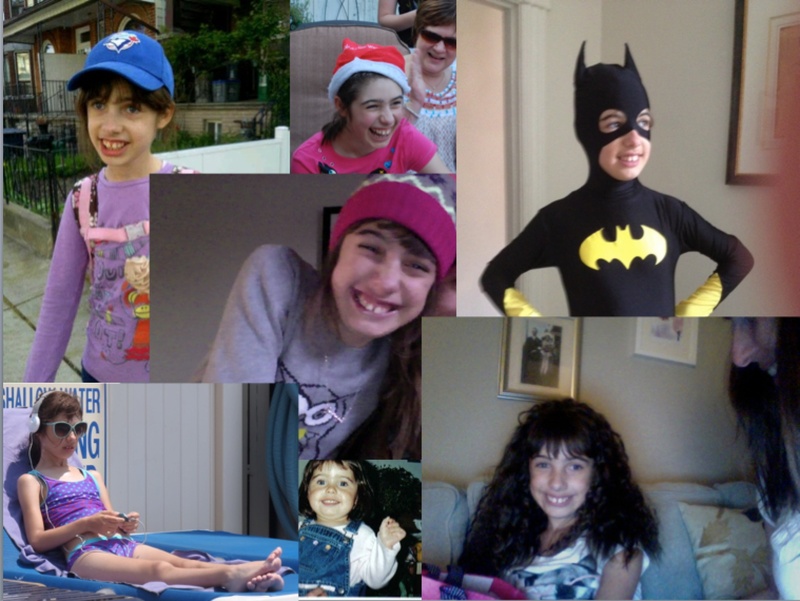 So, what is it like loving a child with autism, and how do you know whether she loves you back? How do I know Georgia loves me? There is no standardized test for this. When I ask myself this question, I somehow just know that Georgia loves me. It’s a strange, wonderful, not-what-I-expected kind of love that is at once all-encompassing and challenging. It is bittersweet. It takes serious work to be loved by Georgia: she’s a tough customer who is simultaneously incredibly easy to please. The trick is to interpret her often-convoluted demands to find easy solutions — and then do it again, and again, and again. It’s taken me 14 years but I’ve figured out most of her working parts, and I think she loves me for doing so. Some of the ways I know Georgia loves me. 1. Almost one hundred per cent of the time Georgia will ask me to go away, unless she needs to be fed, needs help finding her sunglasses or buffalo hat, or wants to watch Jeopardy with me. She’ll pull me off the couch in the basement and tell me to go upstairs, and I won’t see her again until she needs cookies, salami or small electronic devices. But while I’m gone, whether it’s for the day or much longer than that, whoever she’s with has the distinct pleasure of a constant stream of questions about when Mommy might be coming home. 2. When she’s cranky about having to go to bed and is complaining all the way up the stairs, I can get her to instantly smile, sing, dance and hug me by breaking into the “Mahna Mahna” song from the Muppets. 3. She’ll give me a high five on demand almost anytime (even through tears) and she doesn’t mind if I randomly take her hand once in a while when we’re sitting together, just to intertwine her little fingers in mine. 4. On lazy Saturday afternoons, I can still get her to stretch out diagonally across her bed with me while we lie there and talk about knocked-over chairs and the Jays. She nestles into my side and throws a long lanky Georgia leg over me. Heaven. 5. She asks me every day whether I am meeting her bus. I am able to do this far less often than I’d like to, and she never fails to be just a bit disappointed if I’m not there. 6. She asks me to wash her back in the bath. She asks me for a sandwich. She asks me to take her places and to make things happen. She doesn’t always get all of the things she wants, but she hasn’t stopped asking me to be the one to help her get them. 7. When I get angry and impatient and Georgia gets belligerent, we have bad days. Sometimes we have mutual meltdowns. There are tears and frustration — it’s not fun at all. And yet, even after these terrible moments, we find a space to reconnect, tentatively and with a familiar fatigue that comes out of old love, a love that gets in your bones and rests there. Even at her worst moments she is lovable, and I have to imagine that the fact she comes to me demonstrates that, on some level, she feels the same about her rotten old mother. 8. She takes my arm like a little old lady when we go out anywhere. For her it’s about balance: keeping up with the walking pace and being directed forward. For me, it’s about that little hand in the crook of my arm that suggests implicit trust and familiarity, that seeking of connection. I mean, who doesn’t see that? 10. When I put Georgia to bed, every night, she tells me she loves me. This has taken coaching, and explaining to her more times than she can process that I love her, that she’s my favourite person in the world and that I would do anything for her. Over time she has, I think, learned more about the emotion and the sentiment that I attach to these words. She says them back with her face upturned for a kiss and a smile. Occasionally, we do encounter pronoun confusion and she tells me that she loves herself, but I know what she means. My child with autism has been taught to do and say and express things most children don’t require coaching for. Teaching her how to say, “I love you too, Mommy” at bedtime is no different than teaching her how to make a sandwich, to wash her face or to wait in a line at the grocery store. That’s how I know Georgia loves me. It’s spring. Well, it is spring some places in the world. We in Toronto are enduring the season finale of “Grey and Rainy,” but the farmers’ market opens tomorrow and hope springs eternal. Hope for lovely fresh spring days when you can linger on a patio, go for a walk, plant flowers or even ride your bike. For many, spring is the time when we bring bikes out of sheds and depend upon them again as our primary mode of transportation, a form of exercise and, frankly, the most delightful and efficient way to get anywhere in downtown Toronto. I love the feel of the first spring bike ride to work. It’s as freeing as almost anything else – to pedal past the crowded streetcar, to stop and pick up a basket full of groceries and wind your way home through the side streets. It’s a luxury of sorts: to have a bike that gets you to work, to have the stamina and skill required to ride in the city. To have good judgment, quick reflexes, the ability to pay attention to many things at once, and to be able to balance calculated risk with safety. It’s a long way from riding my bike as a kid in the suburbs, when all you needed to know was the fastest route to the local pool on a hot day and the best hills to take home. You pedalled backwards – hard – to activate the brakes. You rode a scratched-up, hand-me-down bike from your older brother or sister, who had graduated to the revered ten-speed. Think back to your first tentative moments on a two-wheeler. I remember my dad holding the back of the bike steady, pushing and telling me to “pedal hard” and then –whoosh! – I was in motion. A few scrapes and falls later, I was actually able to stay in motion. It was a great day when I learned to ride a two-wheeler. Though the tricycle does the trick to get you up and down the street (where mom can still watch you out the window), the two-wheeler is an initiation into the world of the free. Or at least, the-more-free-than-you-have-been. You can ride past the end of the street to a friend’s house, to the store to pick up milk for your mom, to the library, the pool, the park. You can attach plastic streamers to the handlebars. You can clip pieces of coloured straws on the wheel spokes, and slap a few STP stickers on the frame. And voilà, you are stylishly at large in the hood. I remember one of the first times I took my two-wheeler farther than my trike had ever travelled. I turned the corner of Holywell Drive in Etobicoke and left the comfort of my own street, so excited at the feel of the wind on my face and the prospect of being at my friend Gail’s house in a mere matter of seconds that I could barely spare the effort to wave good-bye to my mom. I just lifted my hand in a casual backwards wave, without turning my head. I imagine she was watching me and I hope she was smiling. Over the past few weeks, while the warm weather briefly visited us, I saw lots of little ones out on their brand-new, tiny two-wheelers, with anxious parents running alongside. The faces of these little kids look the same as when I was a child. The anticipatory excitement, the taste of freedom, the triumph of smooth motion over shaky balance. But these days when I look at the parents’ faces, what I see is something that I want for myself too: the feeling of reliving a formative childhood moment. Where, all at once, you realize just how old you are but at the same time feel thrilled to watch your own child, repeating history. Your son wobbling on his two-wheeler makes you remember your first fall. Your daughter coasting down a hill, her feet off the pedals, brings back the feeling of the wind blowing past you as you soared. The overlay of memories with real life, one generation later, is the true privilege of parenting. And it’s not something diminished by the modern world and the complexity it offers through technology and virtual connectedness. I long for that feeling of watching my child and re-experiencing my long-ago initiation into bike-riding. When the living room was open to let in the summer air and the sheer curtains, caught in the breeze, blew back out through the open window. When your best summer friend was your transistor radio, and you wore a halter top and shorts with bare feet to the A & P. When you rode past your friend’s house and yelled their name without dismounting from your bike — and they were out of the house and had caught up to you on their own bike by the time you reached the park. When you both left your bikes lying on their sides in the grass, their wheels spinning in the breeze while you hung out on the swings, giggling and talking for hours. The look I see on parents’ faces as they watch their own children on their two-wheelers suggests to me that they too are lost in a sentimental journey of their own. Georgia hasn’t yet learned to ride a bike. She rode a tricycle when she was little, and my dad fashioned a “pushing rod” out of an old broom handle with a two-pronged attachment; I used it to push her down the street, as she couldn’t quite get the knack of pedalling. Nor did she have the strength in her legs to move forward more than an inch at a time. So we pushed.We avoided downward-sloping hills – braking wasn’t a skill she could develop. We avoided upward-sloping hills – pushing her up was more work than anyone could sustain. It worked while she and her trike were still small, but as she grew out of it we wondered how she would ever progress to a two-wheeler, and how we could make that work. 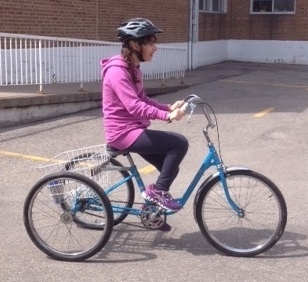 The adult-sized tricycles are good but impractical; heavy and large, they pose huge mobility and storage challenges. I’m not sure Georgia actually has the strength to power one of those things. And yet the idea of Georgia riding a two-wheeler opens up a world of promise. She’s not a great walker, so a long, leisurely summer afternoon walk is in reality a slower and shorter walk. She tires easily, has difficulty focusing movement in a particular direction, and has poor balance just manoeuvring up the stairs without a railing. 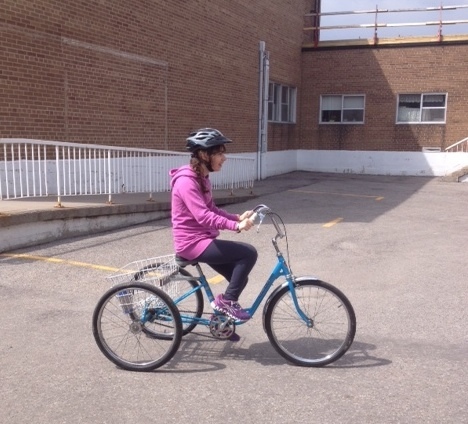 We’re sending her this year to our very good friends Laura and Brett to begin to learn to ride a two-wheeler. Husband and wife, they run the Steps program out of Stouffville. They are absolutely remarkable in a number of ways. When we first met Laura and Brett, Georgia was around three years old, and we had been sent there in order for her to learn how to ride a horse — a skill that had a number of advantages for a fairly non-communicative, non-walking tiny kid. I had no idea what we were in for when we got there. At first I thought Laura was some kind of horse whisperer, but quickly realized that actually she was some kind of kid whisperer. She treated Georgia in a way that implied she actually hadexpectations of my child. This was novel; at the time no-one expected much of Georgia. Laura stuck her on a horse, insisted that she pay attention and made her work. And Georgia did work. She was, and remains, the epitome of ‘highly distractible’ but she focused on the horse and her riding the entire time she was there. The horses were patient to a fault, never minding much that Georgia liked to end the class by clumsily petting their faces (well okay, their eyes), and then stand underneath them kissing their tummies. I knew from the first moment in that barn, watching my kid on a horse led by Brett or by Laura, that this was a unique setting. It’s the kind of setting I want her to learn to ride a bike in, and the people I want to help her learn that seemingly, but not really, straightforward skill. It is such a simple thing in a way: riding a bike. It’s something that most of us take for granted and can’t imagine not being able to do. Most of us haven’t stopped to remember the feelings we once had when we were still learning, and when we finally succeeded in riding our two-wheeler down the street. But I know those feelings are there: the look on many faces tells me that the experience extends beyond that magic “Hey, my kid is riding a bike!” moment. It’s an experience much more complicated and special. I know my kid won’t likely slice up straws lengthwise and stick them onto her bicycle’s spokes to enjoy the sound they make while in motion. I suspect she won’t ever ride to the store to buy milk in her bare feet and a halter top. I don’t think she’ll be yelling at her friends to come out and play, or riding home from the pool as fast as she can go to beat the street lights. But something about spring makes me yearn to see her climb onto a crappy hand-me-down bicycle, and then wave over her shoulder as she heads down the alleyway, out of sight. Compartmentalization. It’s so easy. Right?